Forecast of drought in Britain brings record April showers. Time to change climate models? – Len Bilén's blog, a blog about faith, politics and the environment. Forecast of drought in Britain brings record April showers. Time to change climate models? The Met Office has caused a storm of controversy after it was revealed their £30million supercomputer designed to predict climate change is one of Britain’s worst polluters. 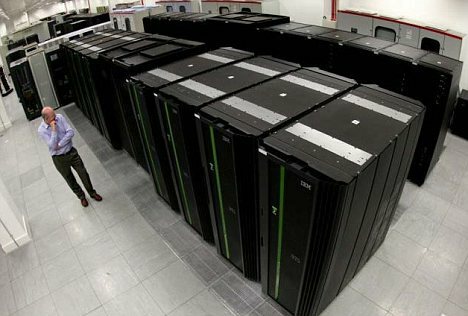 The massive machine – the UK’s most powerful computer with a whopping 15 million megabytes of memory – was installed in the Met Office’s headquarters in Exeter, Devon. With a total peak performance approaching 1 PetaFlop — equivalent to over 100,000 PCs and over 30 times more powerful than what was in place before. It is capable of 1,000 billion calculations every second to feed data to 400 scientists and uses 1.2 megawatts of energy to run – enough to power more than 1,000 homes. Ho well did they do? 2012 had wettest April for 100 years, Met Office says. It has been the wettest April in the UK for over 100 years, with some areas seeing three times their usual average, figures from the Met Office show. I am really impressed by their newfound forecasting ability. More than one megawatt, and what did they get? The threatenin’ drought, it just didn’t last. Conditions like that nothing ever will click. Next Next post: Forward with Mao Tse Tung, Hitler and Obama, a Limerick.